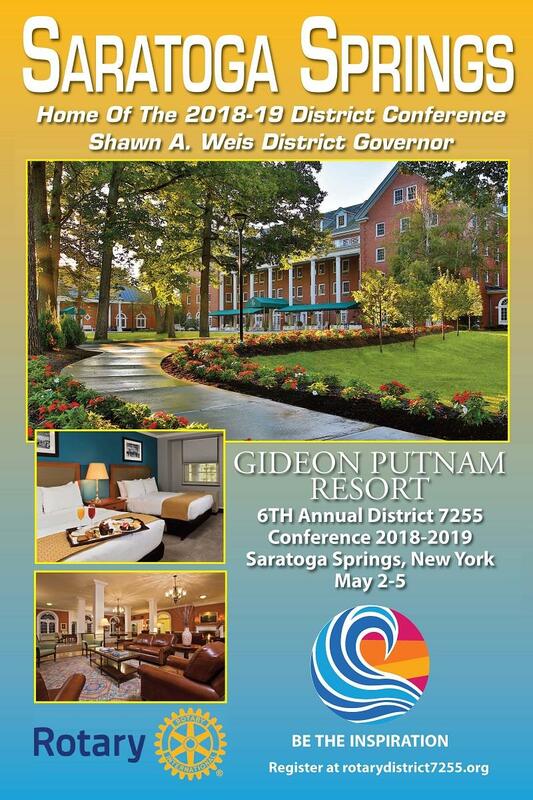 The beginning of Spring and we are a few months away from our conference in Saratoga Springs where we will share ideas and fellowship with our fellow Rotarians along with a group of Interact and RYLA students. The committee has been hard at work planning fun activities and hospitality. There is also plenty of free time to explore Saratoga Springs with its many shops and restaurants, the casino and racetrack, the natural spring spa, golf if you desire and the many trails throughout the state park. We hope to see you there May 2 nd through the 5 th . Registration is on the District website and we look forward to seeing you in Saratoga Springs! It’s March and in the Rotary world the focus is on water and sanitation. In the states we take water for granted, you turn on the tap and let it run while you brush your teeth, take a drink, clean your dishes or wash your clothes. In many countries this is not an option. Water is scarce, and in many places the water is contaminated, impure, unpotable. However, this does not prevent children from drinking it, mothers from using it for cooking and bathing. Approximately 3000 children perish daily from water borne diseases. Totally unacceptable! When considering projects to provide clean drinking water, either with wells, bio-sand filters or even the drinking straws also consider that proper sanitation is also needed. Some schools in 3 rd world countries have no latrines, or insufficient latrines to accommodate the number of children using them. but the water that is discharged into our rivers, bays and the bodies of water surrounding our island. projects that clean up the plastics and pollutants along our shores. Even if your club doesn’t participate in a water project, consider a donation to the Rotary Foundation Annual Fund to provide the necessary funding for other clubs to complete projects. Facebook and came across an article about Rotary. 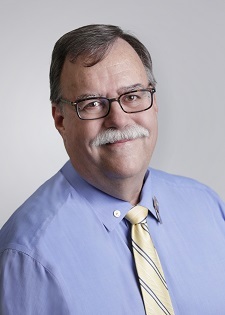 Past RI President Cliff Dochterman (1992-93) was asked why Rotarians felt the need to attend weekly meetings. He replied, “because you never know who may need you”. Think about you club and the friendships you have formed with the members that have come together to provide service. Who among them may be facing challenging times, be in despair, or are feeling lost? YOU may be the person that they are waiting for to offer a shoulder, support or friendship. Whenever your club meets, don’t assume it’s ok to skip. One never knows who might be waiting for YOU to lift them up or change their life. That’s what differentiates a Rotarian! Click the image below to sign up now. Don't miss the early bird discount!